Celebrating 10 years of Holla Trails with a Sugar Rush Classic Festival: Trail run & MTB race! Route description: The terrain predominately consists of exciting and sometimes challenging single track that takes you through several sugar cane farms. Expect to encounter dams, rivers and bridges along the course. We are out there raising awareness of the benefits linked to cochlear implants which really give the gift of hearing. The cochlear implant is the stage where hearing aids no longer offer assistance in terms of speech and hearing. The cochlear implant recipient will notice without doubt the absolute leapfrog change from hearing aids to the cochlear processor. The cochlear implant gives sound as close to normal that you will get. 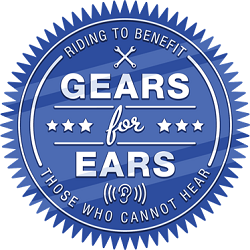 Gears 4 Ears is continually called on to assist with all things linked to the Cochlear implant, this covers speech therapy to maintenance issues. Understanding the cost of a cochlear implant is now in the region of R450 000.00, making the cochlear processor only a dream to many. We look forward to being a part of the fantastic Sugar Rush Classic in May 2019. Look out for us at the event for more information and if you can make a donation our sincere thanks.